Sprint customers with an iPhone are widely reporting that Wi-Fi calling does not work after installing iOS 11.2 and carrier settings version 31.0. Hundreds of complaints have surfaced across the web, including the MacRumors discussion forums, Sprint and Apple Support Communities, Twitter, and Reddit, since the software update was released earlier this month. All models of the iPhone that support Wi-Fi calling appear to be affected, ranging from the iPhone 6 to iPhone 8 Plus, among others. It's unclear if the issue is due to iOS 11.2 or the updated carrier settings, which support features like Wi-Fi calling and VoLTE. AT&T, Verizon, and T-Mobile customers are not affected, suggesting this is a carrier-specific problem. Many affected customers have performed basic troubleshooting, such as resetting the iPhone's network settings or simply turning the device off and on again, but there doesn't appear to be a solution that works on iOS 11.2. 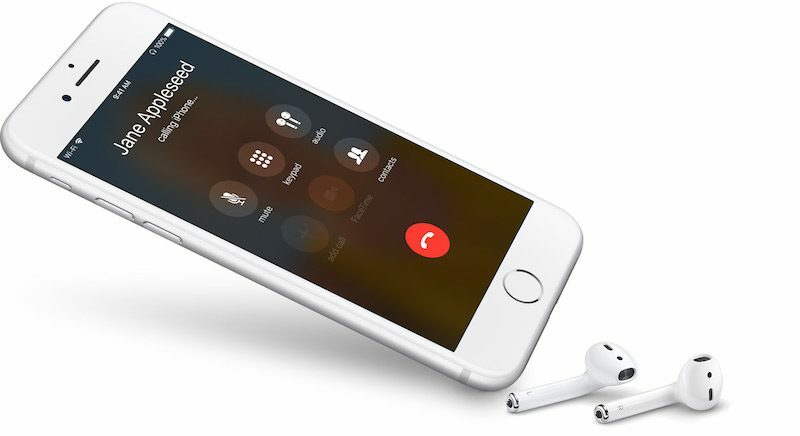 As a temporary workaround, some users have downgraded to iOS 11.1.2 and found that Wi-Fi calling becomes functional again. MacRumors does not have an iPhone on the Sprint network in its possession, so we're unable to reproduce the issue. Sprint directed us towards Apple, which has not responded to multiple requests for comments over the past few days. Last week, a support representative on Sprint's website relayed that the carrier plans to apply a temporary fix across a limited number of Wi-Fi calling servers while evaluating a long-term solution to the apparent bug. After several days, however, Wi-Fi calling is only working intermittently at best for some customers. Apple also appears to be collecting data from affected customers who contact the company so that its engineers can investigate the matter, as it routinely does with any potential hardware or software issues. For those unaware, with Wi-Fi calling, you can make or receive a phone call if you have a Wi-Fi connection in an area with little or no cellular coverage. The feature can be enabled in Settings > Phone > Wi-Fi Calling. Update: Sprint says it is "actively working to resolve this" issue. A company representative said Sprint will "implement some additional changes" on late December 11 to increase Wi-Fi calling capacity. "This should get us to the optimal performance that is expected," the employee wrote. Update 2: Sprint issued a carrier update that appears to solve the Wi-Fi calling issue for most Sprint users. First solution - change carriers. Sprint customers need wi-fi calling more than anyone. They said it couldn’t be done; they said it’d be impossible to create an iOS Vista, but they were wrong! Apple demonstrates again how their IOS quality control continues to decline. it's Sprint. does it ever work? Works for me, quite nicely. All this Sprint-hate is sorta silly. Reminds me of what Windows and BlackBerry people said about Macs and early iPhones. For Verizon Wi-Fi calling I will (rather often) get a loud screeching noise mid-call that the other party can't hear. It will go on until I hang up and call them back. No carrier has this implementation down perfectly. My advice to Sprint customers - sprint away from Sprint as fast as you can, and run to T-Mobile (or any other Carrier). Been there, and it's bad advice -- T-Mobile's reliability, especially for voice calling, is TERRIBLE. Really, really bad. Their implementation of VoLTE is a complete disaster, and regularly results in calls where one party or the other can't hear each other. Walk in-building, and you lose all signal immediately. You need WiFi calling on T-Mo to use your phone inside any building. I believed the T-Mo hype and ported in from Sprint, but after a week of not being able to make work calls or have reliable communications, I was back to Sprint in a blink. Say what you will about Sprint CDMA voice, but it's rock-solid, rarely drops, and has great coverage both in-building and in suburban areas. Sprint WiFi calling is primarily useful for deep underground communications or "faraday cages" in bunker buildings where no signal can penetrate. You can't say any of that about T-Mo VoLTE... you NEED WiFi calling just to make a phone call indoors with them. Many of us need our phone to be an actual phone, for work.